Here’s how to download MovieBox++ iOS 11 IPA on your iPhone, iPad, or iPod touch. No jailbreak is required for this to work. Anyone who was a huge fan of the original MovieBox app will instantly fall in love with what’s being offered here with MovieBox++. This is essentially the same original (non-plus plus) app, offering the same original underlying experience, but with the injection of additional functionality and feature sets which just take it to the next level. 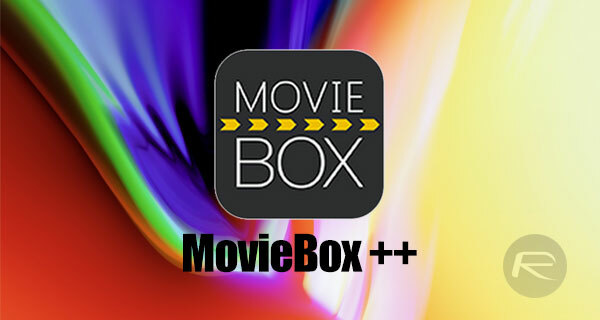 MovieBox++ is really no different to the vast majority of the apps appended with “++” in the title in the fact that it’s an app on steroids which works by taking the original app and baking new functionality into it. From a feature and functionality perspective, you will instantly be able to consume and stream movies from a wide range of genres. In fact, pretty much anything that you want should be on there, not that we condone accessing this type of media in this particular way. There is also instant access to an array of TV shows which are currently extremely popular and even trailers for upcoming movies or those which are currently showing in theaters around the world. This isn’t just about getting streaming access to older or historical movies on the device either as there is also the ability to actually download those movies to the device itself so they can be watched without access to Wi-Fi or cellular at any given time in any given place. All-in-all, it’s a wonderful app for all movie lovers. If you are in possession of an iOS 11-powered device, which could be iPhone, iPad, or iPod touch, and are ready to get immediate access to all of the movie content that you can consume, then we have the necessary process that you need to follow to get MovieBox++ onto that non-jailbroken device of yours. Simply download the iOS 11 MovieBox++ IPA file from here, and then follow the instructions over at our previous guide (same instructions as iOS 10) for sideloading the app on your non-jailbroken iOS 11 iPhone, iPad or iPod touch device.